1669 Bayview Avenue #200, Toronto. 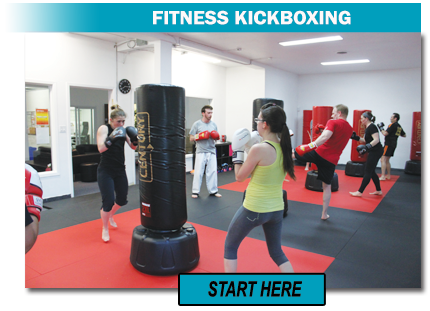 We’ve committed our efforts in making our kick boxing classes fun, functional, and fresh each time you attend. Our team believes it is better to get one thing right than try to be all things sub-par. That’s why every fitness kickboxing class you attend is focused on one thing above anything else - getting you in AMAZING shape. Contact us now to schedule a drop-in class, or click on the image to learn more and get started with our awesome internet offer. 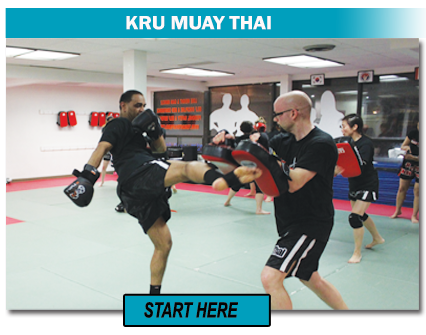 EnjoyToronto Muay Thai classes that offer a safe, non-violent, and fresh approach to one of the world’s hottest combat sports and a unique blend of cutting-edge fitness. Click on the image to purchase our internet offer, or give us a call to schedule a drop-in class. You'll love what we do! 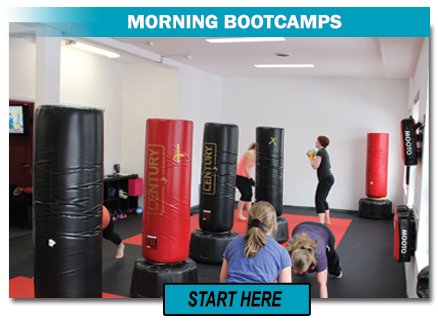 If your mornings are open, and losing weight or getting in great shape is top of your resolutions list.. then you can join others who are burning off the fat with our amazing bootcamp classes. It’s a fast, fun, and fresh way to get in amazing shape without the common challenges of trying to stay motivated with gym workouts or an expensive personal trainer. And no! Our classes are not violent or intemedating. We offer a non-contact kickboxing bootcamp workout where the only feeling of “getting hit” is from the tons of fat you’re sweating off in every class. Schedules, membership options, and getting started. flexible membership options for different commitment levels. choice and purchase our awesome risk-free internet offer.